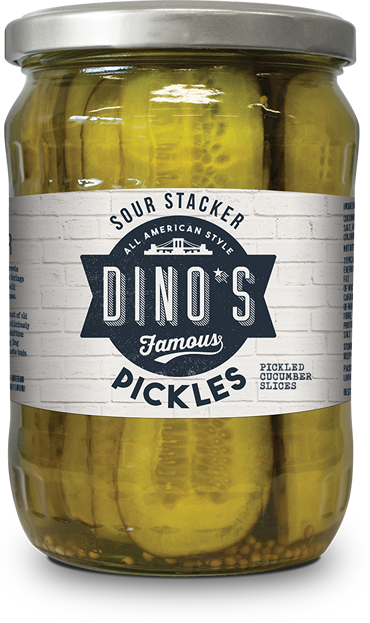 American brand Dino’s Famous is adding Dino’s Famous Stackers to its line-up – a range of US-style, sliced pickles that joins Dino’s Famous Brooklyn Big Dog in the brand portfolio. Sliced pickles, or ‘stackers’ as they call them Stateside, are the perfect accompaniment to hot dogs and burgers for both at-home dining and eating out. 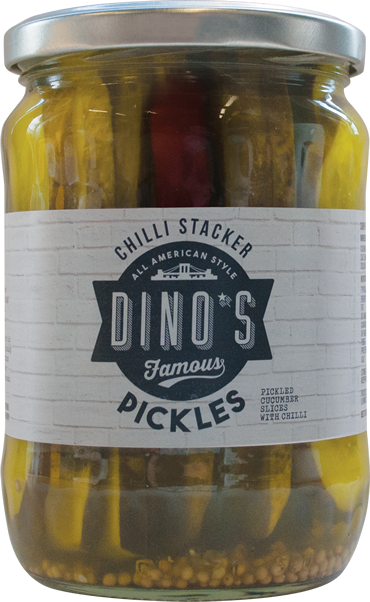 Dino’s Famous Stackers are available in three bold flavours – Sweet Stacker Pickles, Sour Stacker Pickles and Chilli Stacker Pickles – with the chilli stacker becoming hotter for the first few weeks after opening the jar. Each comes in a 530g jar with an RRP of £2.49 and is available in cases of six for wholesale. They will be available to convenience, wholesale and foodservice channels. Dino’s Famous Brooklyn Big Dog has seen distribution triple in Tesco after a year of strong sales and there will be plenty more NPD coming from the brand – all designed to help consumers ‘dress the dog’ and bring street food and the BBQ season indoors when the weather turns colder.